Ainsley Connor is determined to turn her back on her shifter past. But the wolves of Tarker’s Hollow call on her to choose the next alpha, and Ainsley becomes the object of desire for every eligible wolf in the quiet college town. Surrounded by seductive shifters, all desperate to claim her, Ainsley wants nothing more than to leave the pack behind forever. But her newfound passions will not be ignored. Ainsley soon finds herself torn between the mysterious stranger with the dark secret, the gorgeous and loyal friend from her past, and the hunky sheriff that wants her all to himself. And the shifters aren’t even the strangest part of Tarker’s Hollow. 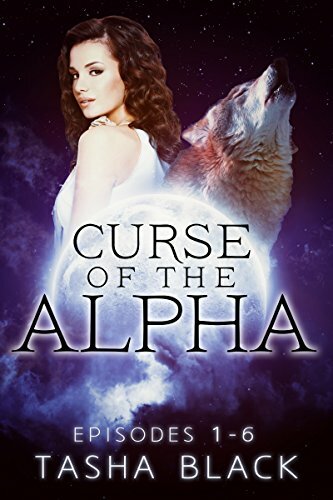 As she struggles to come to terms with her true nature, Ainsley is thrust into the center of a steamy web of shifters, ghosts, witches and warlocks, caught up in a life-and-death struggle for control of the pack she tried to abandon. But for Ainsley Connor, the toughest wolf she must face might just be the one inside herself.